DISCONTINUED! CHECK AVH-Z5250BT AS A REPLACEMENT OF THIS PRODUCT! Next Level Performance & Connectivity - The New 2018 Pioneer Range Delivers Yet Again! 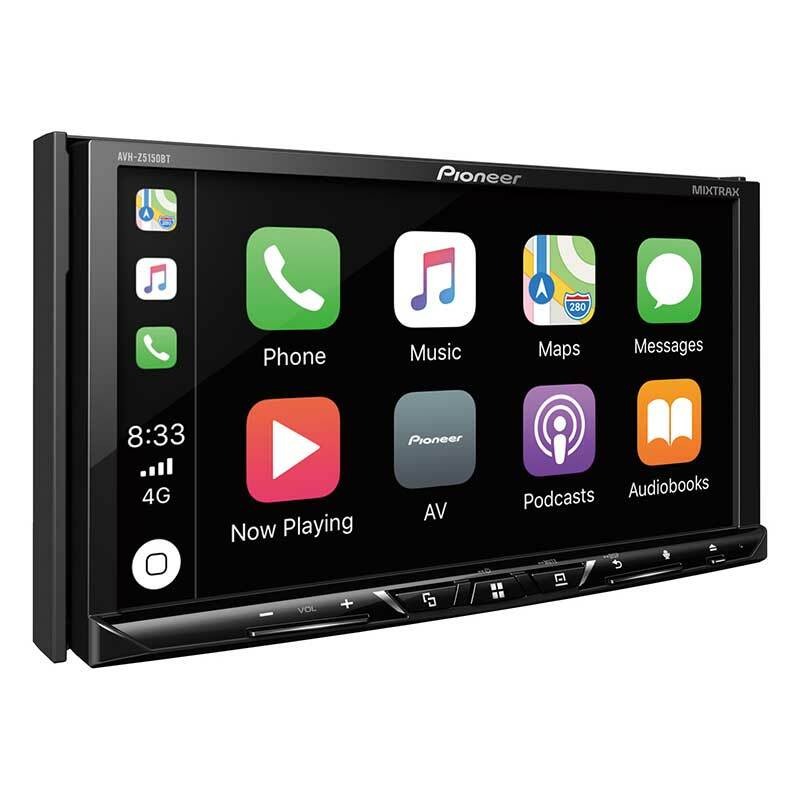 The new Pioneer AVH-Z5150BT takes connectivity to the next level by incorporating the latest versions of Apple CarPlay and Android Auto into it's already, feature-packed offering. The large, high contrast 7" touchscreen WVGA display makes for easy viewing, even in bright daylight situation and when it's combined with the extremely user friendly interface that makes navigating through the vast array of menus, apps and other neat features an easy feat, you can rest assured you'll have a positive user experience each and every time you hop in the car. No one likes using cables anymore, especially in the car and with Bluetooth there’s no need. Make and receive calls, stream your favorite music tracks, transfer images and more from your compatible smartphone direct to the source unit quickly, easily and more importantly, wirelessly with dual phone full-time connection available. With the hugely-popular Spotify app almost becoming a staple for music lovers, Pioneer have provided a dedicated A/V source on the new Z-Series receivers, giving users the ability to control content from the Spotify app on their smartphone. Play, pause and skip tracks, browse playlists, albums and radio stations on the go using the Pioneer controls. It's that easy! I had a pioneer head unit years ago which was great and recently after deciding to purchase the AVH-Z5150 I am still seeing why Pioneer are still around to this day. The unit integrated perfectly into my vehicle allowing for all the latest technology in a very simple to use interface that just works. Sound quality is excellent through the standard speakers and user settings easy to find. I would definitely recommend this product and consider it for your double-din upgrade. Bang for your buck, love this unit. This unit is wow. Everything and more than I've ever wanted at a seriously amazing price.